From late June to early August the wheater in Central Norway is at its warmest and it never seems to get really dark. Late June to early August is when summer is at its peak. This is when the weather is settled most and the warmest with sunny, long and bright days. 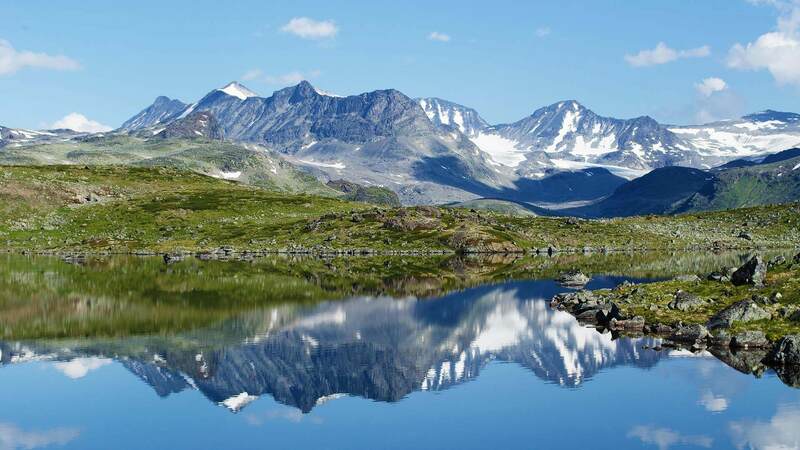 Herangtunet has a real continental climate and is one of the driest places in Norway. Temperatures can sometimes reach 25°C – 30°C. At the same time there is hardly any humidity in the air. During September and October the landscape is painted in red and yellow colours, and nature is full of berries and mushrooms. At the same time, the days become shorter, darkness descends early in the afternoon and temperatures drop. You can expect winter in Central Norway from November until April. Especially its inland regions such as Oppdal, Røros and Dovrefjell enjoy cold wintry weather with an abundance of snow. There is snow from mid-November to April and is always easily accessible. The coastal areas have much milder winters thanks to the Gulf Stream. However, gales, rain and cloud are likely to hit the coastal areas during winter. In May flowers are blooming, the trees are budding and you can virtually feel spring exploding all around you. Remember that the weather and temperatures can change quickly, especially in the mountains. So whether summer or winter, autumn or spring – please, bring good footwear and warm clothing.